Conec, straight PC D-sub connectors with press-fit contacts are extensively used on PCB boards for equipment in industrial control systems, computer environment and in telecommunication equipment. Standard or High Density D-sub connectors can have press-fit contacts. Press Fit technology is a solderless connection method which is increasingly popular in mass board production. Soldering can have several disadvantages ~ it can create thermal stress, and pretty obviously requires solder to be applied in what can be a costly reflow manufacturing process. Press-fit technology consists of force fitting an oversized contact pin into the plated through hole of a printed circuit board (PCB) as an ‘interference’ fit. The high radial pressure produces a deformation, resulting in a gas-tight electrical connection of high quality. This difference in pin cross section and hole diameter results in a deformation of either the PCB hole or the cross section of the pin during the insertion process of pin into PCB hole. Assembly of press-fit d-sub connectors and sockets with the PCB requires only simple tooling which can be installed on a small press: a base plate with holes corresponding to the hole pattern of the PCB and an upper tool. 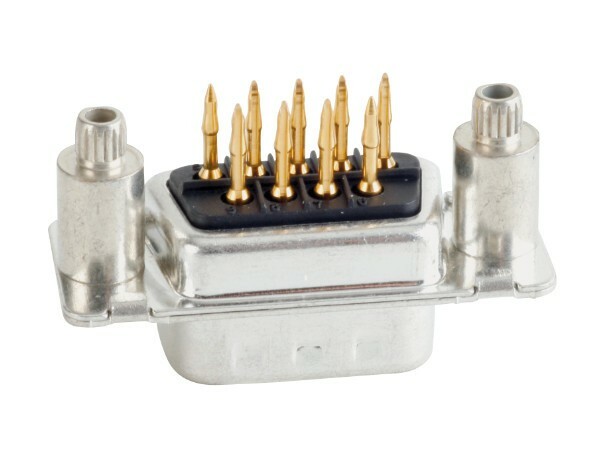 Press-Fit d-sub connectors can provide a versatile, high reliability, high density keyed interface between PCBs and the external environment.